My workation began yesterday. What’s that, you say? Why it’s simple. It’s where you take a week off from your “real” job and immerse yourself into another job. 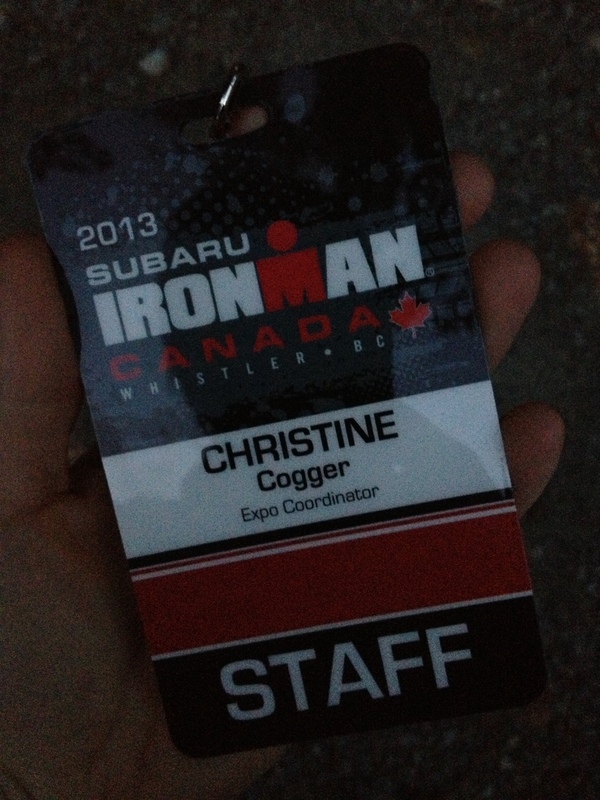 In this case, that other job would be Ironman Canada. Because the reality is… if you can’t race ’em, join ’em! Sidebar: I cannot believe that it’s been 8 years since my last Ironman. Yeesh. I won’t lie and pretend that seeing all these athletes on our roads and trails all summer hasn’t made me totally envious, because it has. Triathlon FOMO in full effect! But this gig is kind of assuaging me and I think it will likely keep me busy enough that you won’t find me in the registration lineup come Monday morning. I think. So should you find yourself in the Expo with some time to kill, do come find me and throw me a high five. I’ll be easy to spot: I’m the short one in the sling telling people where to put stuff.